It was slightly cool morning, but warmed up for a lovely walk in the dog park in Sharonlea. We took Labradors Molly May and Sam, along with Ozzy and Roxy for some fun and socialising in the wide open spaces of the park. We came across a beautiful little dam that was completely surrounded by trees, and Molly jumped right in, with Sam joining shortly after. A few sticks were thrown and fetched, and then we moved on. There was a massive field where the group chased each other at high speed, which was very interesting to witness. We then moved on to a much bigger, open dam which the dogs absolutely loved! They were jumping in and out of the water and chasing each other around. They even showed their affection to their walkers by shaking the water off right in front of them! It’s so lovely to have warm weather so that we are able to do this kind of thing. The dogs didn’t even seem tired on the way back, and sprinted almost the whole way. They have so much energy and really enjoyed their time at the park with the others. Labrador Retrievers have very soft mouths. Well-trained Labs are able to carry an egg in their mouths without breaking it! Not sure where to take your dog to the park? 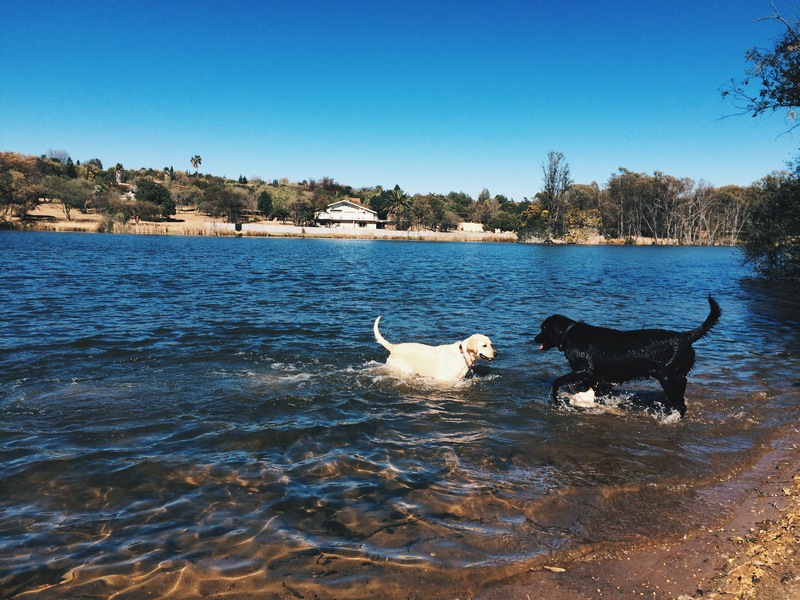 Have a look at this post to see about some fun parks to go with your beloved pets. 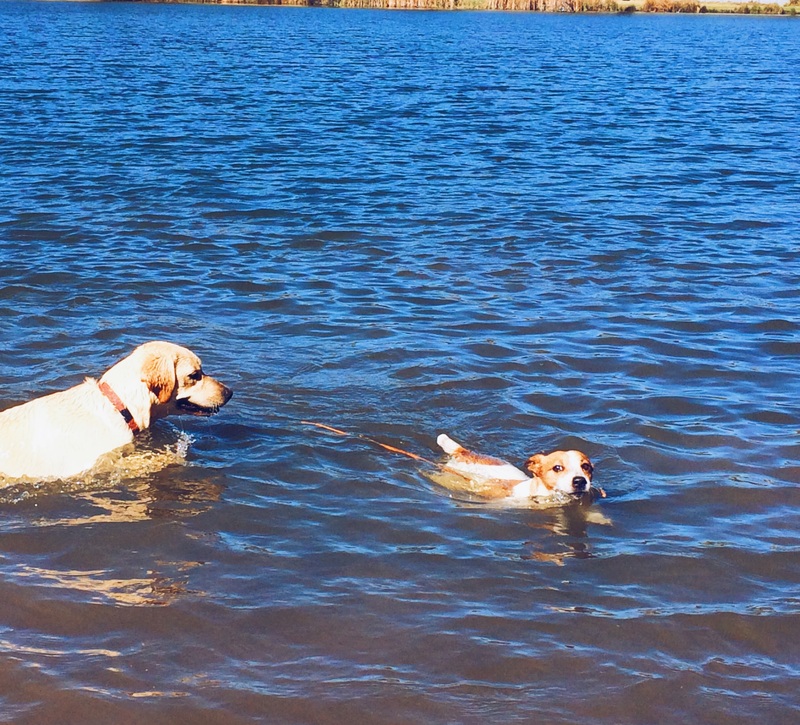 This entry was posted in Dog Walking and tagged #YourHound_SA, animals, Dog walking, exercise, fit, fun, Happy Dogs, Johannesburg, Labradors, Socializing, Sunny Johannesburg, Swimming Dogs. Bookmark the permalink.